What more could be said about the riveting cabaret BariToned besides the phrase “pure Broadway joy?" 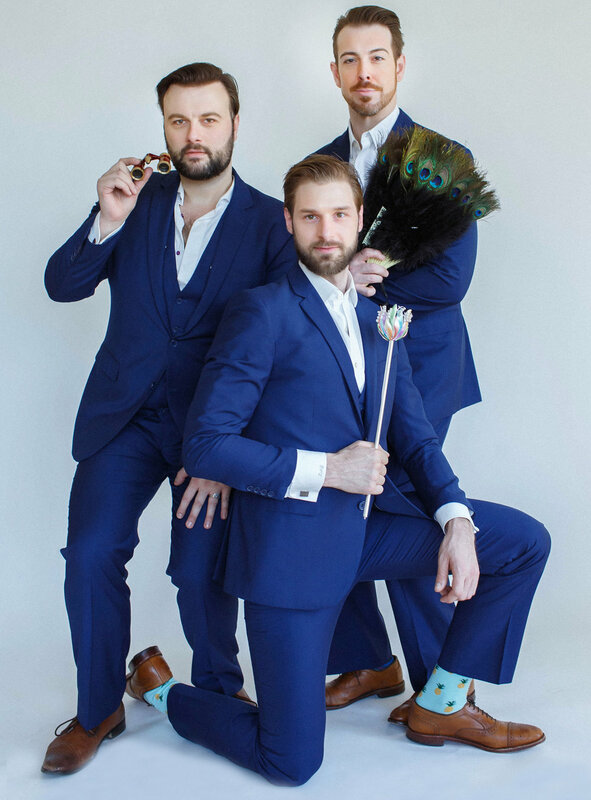 Kicking off its The Damsel In Distress Tour at Birdland, this bewitching show stars creator, founder, and producer, Edward Miskie, the charmingly honest and funny Kyle Hines, and Joe Hager, the epitome of manly swagger. BariToned is composed of a trio of burly baritones who breathe new life into the songs of our beloved Broadway leading ladies. I found myself giddy with excitement at the start of each new song, only to be more delighted when a familiar song took an exhilarating turn and blended seamlessly into a wonderful mashup. Dan Pardo stands as the backbone behind the beautifully arranged trios and mashups that make the show as wildly entertaining as it is. The trio of baritones soared through the tight harmonies and show stoping transitions. This night of wonderful musical theatre would not be complete, however, without the delightfully campy and wildly entertaining choreography by Brooke Martino. Edward, Kyle, and Joe were wonderfully in sync throughout without ever losing their corky individuality. I would be remiss if I did not mention the eleven o’clock number that brought the largest smile to my face and ended with an eruption of applause from the audience. The baritones performed a mashup of “If You’ve Got It, Flaunt It,” “Big Spender,” and “There Are Worse Things I Could Do” that truly had me doing a happy dance throughout. The show flew past in what felt like moments. I think that the audience would agree with me when I say that I was very glad to see a few encore moments that brought us all to our feet. BariToned will be headed from New York City to San Diego, Los Angeles, San Francisco and more. If The Damsel In Distress Tour is coming to a city near you, do not hesitate to see this Broadway lover’s dream.